Aeroseal Duct Sealing | T. N. Bowes Heating & Air Conditioning, Inc.
T. N. Bowes Heating & Air Conditioning, Inc. solves leaks and imperfections in duct work with a quick, cost-effective, and technologically advanced procedure called Aeroseal Duct Sealing. Accessing the complete duct system without tearing down walls, damaging equipment, or causing disruption or mess, we properly seal flaws up to one inch in diameter. Proven five times more productive than insulating, and twice as productive and beneficial as new window installation, Aeroseal duct sealing combats the twenty to thirty percent of conditioned air typically allowed to escape through flaws in ductwork. Save energy with professional duct sealing service! Let the experts from T. N. Bowes Heating & Air Conditioning, Inc. help you enjoy greater comfort, healthier air quality, and a cleaner home, while also reducing the operational costs and wear and tear on HVAC equipment. We specialize in Exceeding Expectations for Service and Performance in Southern Maryland and parts of Virginia. Our highly trained technicians inject UL tested polymer particles into the ducts for approximately one hour. As air is put under pressure and escapes through flaws in the ductwork, the adhesive particles exit through cracks and holes, adhering to the edges and gradually building up. We verify the results of this patented and EPA approved process through a computer and sensors, and provide a thorough report. 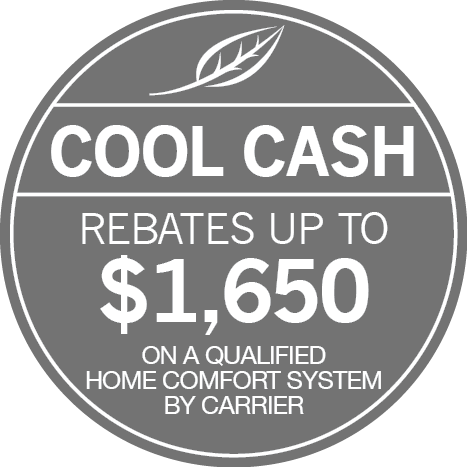 Contact T. N. Bowes Heating & Air Conditioning, Inc. at 301-880-0161 for further information. Excessive energy bills – As cooled or heated air escapes through leaks in ductwork, heating/cooling equipment works longer and harder to maintain temperature settings. Stress on HVAC equipment – Leaks in the ducts causes cooling/heating wear and tear, increasing chance of malfunction and premature failure. Diminished airflow – Holes or cracks in the ductwork often introduces contaminants into the system, resulting in an accumulation of debris, which then blocks optimum airflow. Contaminated indoor air quality – When unconditioned air is allowed into the ductwork, dust, mold, bacteria, fumes and other pollutants are then circulated throughout the home. Clogged air filters – As polluted air is drawn in, air filters clog more quickly and require more frequent replacement. Inferior Comfort – When heated/cooled air escapes, and outside air enters, the result is typically hot and cold spots throughout the home. Backdrafting – Hazardous conditions can be caused by “Backdrafting” of combustion gases (such as carbon monoxide).